Difficult Teller Interview Questions in 2019 – Can You Answer Them? Many people dream of working in a bank. It is not easy to get this job, however, becasue anyone can apply for it (there are no special requirements on education or experience of the candidates). More often than not, you will compete with twenty (or more) job seekers in an interview, all of you trying to get the single job opening of a bank teller. Welcome to BankTellerInterviewQuestions.com, a website that specializes only in bank teller interviews. My name is Jacob Gates, I worked as an interviewer at Wells Fargo and Bank of America, and today I will help you to get the job. They will ask about your motivation, your experience with customer service, your knowledge of banking products, your sales skills. What is more, you will have to deal with behavioral questions (describe a conflict with a colleague, describe a stressful situation from work, etc), and with a role play. Let’s have a look at the particular questions. Note: Clicking a question will direct you to a new page where I analyze the question and offer you some sample answers. How would you convince the customer to become a client of this bank? Have you ever worked at a bank before? What characterize a good teller from your point of view? Describe a conflict you had with a colleague in the past. What would you do if you saw a fellow employee take $100 that belonged to the bank? What banking products do you personally use and why? Describe a situation when you felt pressure in work. How did you handle the pressure? This job can be repetitive. What would motivate you to do it well every day? Passion for talking to people, a positive attitude and opinion about the others. Ability to uncover the needs and desires of various people. Good knowledge of banking products, or at least a strong interest to learn more about the field. High level of responsibility and loyalty to your employer. Whether you really meet this criteria or not is not decisive. What matters is whether you can convince the interviewers of meeting them. 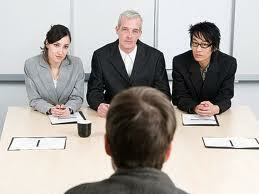 Do interview questions for tellers differ in various banking institutions? While banks have their own, personalized interview processes, we should not forget that it goes about the same position every time – a position of a teller. Logically, the questions will be similar, regardless of the country, or banking institution you apply for a job with. On the other hand, some big banks have designed special interview processes, in order to stand out from their competitors. Bank of America and Wells Fargo belong to this elite group. If you apply for a teller position in one of these two banking institutions, I suggest you to have a look at Wells Fargo Interview Guide, or Bank of America Interview Guide. I wrote both eBooks, and I have worked for both banks. But if you apply for a job at other bank, please continue reading these lines. You should never forget that interviewers are just men and women, like I and you. If you manage to build good relationship with them in the course of an interview, it will help you tremendously, especially becasue it is not easy to stand out in this particular interview (previous experience, or your education, does not play an important role when they decide about your job application). 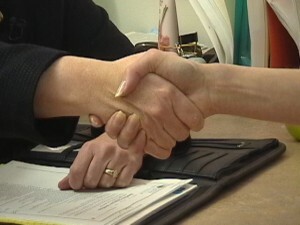 It is not easy to build relationships with the interviewers. If you understand the basics of human psychology, however, and know how to work with people, you should manage it slightly better than the people who lack the knowledge. I hope that the information on my website will help you to prepare for the interview, and get rid of stress. If you would like to ensure that you did your very best to prepare for a bank teller interview, however, I suggest you to check my eBook. You will learn brilliant answers to all difficult interview questions, and understand the winning interview strategies that will help you to stand out. Thank you, I wish you good luck in your interview!